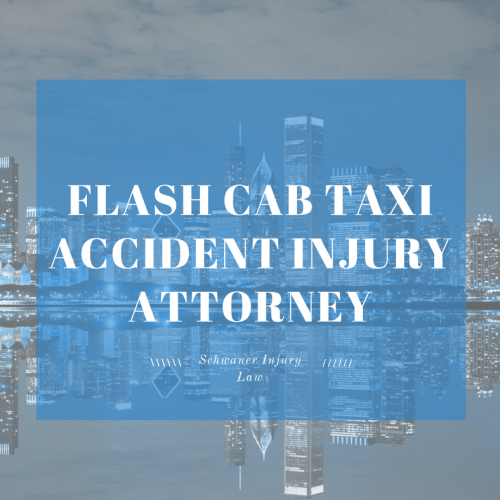 Were you injured in a Flash Cab taxi auto accident or crash in Chicago? 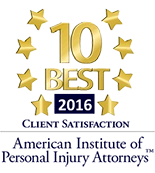 Our Chicago and Illinois-based injury attorneys are ready to help you if you were injured in a flash cab taxi accident. You’ve Had an Accident in a Flash Cab Taxi in Chicago. What Should You Do? While not all taxi rides are as harrowing as the one Bill Murray took while riding with the Ghost of Christmas Past (played by David Johansen, lead vocalist for the New York Dolls) in the 1988 movie “Scrooged,” when you get into a cab, just as when you choose to ride any form of transportation, there are always risk factors at play. There are numerous modes of transportation in Chicago, including taxis. One of those taxi services, Flash Cab, was born in 1945, and became the first taxi service to implement two-way radio service, allowing drivers to communicate with their dispatchers during the ride. Almost 7,000 taxis, approximately a third of them Flash Cab units, are currently on the streets of Chicago, navigating aggressive traffic while dealing with stressed-out passengers in a rush to get to a meeting across town, to catch a flight from O’Hare or to get home after a long trip, many of them experiencing their own kind of road rage from the back seat. Like any other method of transportation, there is always a risk factor when you get into a cab, and given the fast-paced, bumper-to-bumper traffic that has many travelers bypassing Chicago no matter how many hours it may add to their trip, there is a real potential for injury if you are involved in an accident. When you hail a taxi, you enter into a professional relationship with the driver, and in exchange for the money we pay for the taxi service, we expect the driver to be safe behind the wheel, obeying traffic laws and getting us to our destination in one piece. Failure on the driver’s part to do this can be considered negligent, especially so when it causes a car accident that results in injuries. We expect these professionals to act in a certain way, to drive safely and obey traffic laws. We define a range of actions, based on what normal, rational people in similar situations would do. When a professional acts, or fails to act, along the lines of these appropriate behavior, and another person is harmed, they have acted negligently. In 2015, Flash Cab was sued by the widow of a man who died when he hired a Flash Cab taxi to take him home after an evening out. When he was dropped off, the taxi began moving before the man had fully exited the vehicle. He fell, and was dragged across the street by the cab until hitting his head on the street’s curb. The driver failed to stop at the scene, and the man died a week later. Taxi Driver fatigue. In order to make a sustainable living, drivers may work as many as 12 to 17 hours per day, potentially leading to fatigue so severe that they fall asleep at the wheel. Drivers who have been behind the wheel for too long have higher stress levels, may develop blurred vision from eye strain, may suffer a decrease in judgment and may be less aware of their surroundings. Taxi Speeding. Taxi drivers are notorious for speeding, and in Chicago, they would just be keeping up with the rest of the traffic. Still, in order to take in as many fares as possible – or to snag bigger tips by getting passengers to their destinations quickly, drivers may sometimes behave recklessly, weaving in and out of traffic and exiting quickly without alerting surrounding drivers of their intentions. Inadequate Taxi Vehicle Maintenance. When cabs are on the road so many hours a day, it’s difficult to find time to properly maintain them. Tires, brakes, seat belts and other issues can all result in injuries, and if a cab breaks down in downtown Chicago traffic during rush hour, the results can be dangerous, or even deadly because it may take rescue vehicles too long to reach the scene. Taxi Driver Distractions. Everything from cell phones, dispatch radios that never cease communicating with an entire fleet of drivers to drunk or disorderly passengers can cause a driver to become distracted, leading to an accident. According to the National Highway Traffic Safety Administration, 25 percent of all car crashes are due to distracted driving. You don’t want your cab driver to be part of that statistic. Unqualified Taxi Drivers. Drivers may fail to follow the laws of the road, either because they don’t know them or they are driving in a careless manner. Running a red light, missing a stop sign, failing to yield the right-of-way and other violations can result in accidents. While taxi drivers and their vehicles are licensed and regulated by both the state of Illinois and the city of Chicago, and both drivers and cab owners are required to carry certain levels of insurance, the process of collecting compensation to cover health care costs can be complex and confusing. Just as with any other type of car accident, if the injuries you’ve sustained in a cab accident were caused by someone else’s negligence, it’s important that the responsible party be held liable. Not only are passengers at risk if their taxi is involved in an auto accident, pedestrians, other motorists, and bicyclists are also at risk when sharing the road with a taxi that ends in an unfortunate accident. Given that alleged response, it is essential to hire an experienced personal injury lawyer who understands the complexities of hired taxi drivers, insurance for drivers and companies and other complex issues. We will fight for you and get you the compensation you deserve. Our services are free until we recover on your behalf.